The QuickBooks ProAdvisor® Program equips accounting professionals with the tools they need to fuel small business success. Our January profile spotlights Carrie Kahn, a CPA, ProAdvisor and recipient of the 2017 Intuit Reseller Partner Program of the Year. In this profile, learn about her journey with QuickBooks®, the ProAdvisor program and her partner program which helps ProAdvisors develop and grow their practice. Sheila Kilbride: Hello, Carrie, thanks for speaking with me today. To start, please tell me about your firm. Carrie Kahn: I started my business, Complete Business Group, in 2010, but I have been supporting QuickBooks since 1988. We’re located in Florence, South Carolina, which is an hour from the beach. I have five employees and 230 ProAdvisors. My support niche, when I take on projects, is providing set up and ongoing support for QuickBooks inventory, wholesale distribution and payroll. However, I am able to serve all industries for our hundreds of clients by subcontracting to the ProAdvisors in my partner program. Currently, my active role is to nurture and grow this program by providing education and tools that empower our partners to better serve their clients and grow their practice. Sheila: What is your background and what services do you provide? Carrie: I am a CPA and renew my license every year, but I don’t do taxes. My CPA knowledge allows me to be the bridge between my small business clients and their tax accountants. While I provide bookkeeping services, my main focus is using our accounting expertise to get our clients set up in QuickBooks and help them trouble shoot any issues. Sheila: Why did you become an early advocate of QuickBooks? 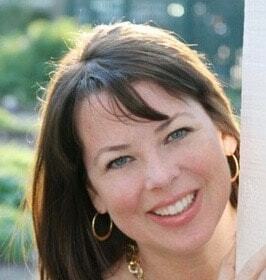 Carrie: After graduating from college in 1988, I started working at a CPA firm. I was the go-to person for creating a set of financial statements to use for a tax return from a year’s worth of receipts. This was time consuming and painful. I became an early adopter of QuickBooks, because it made this process so much easier. Over time, QuickBooks has become very user-friendly. Thanks to its move to the cloud, we are now able to support clients and ProAdvisor partners all over the United States. Sheila: How did your relationship with QuickBooks continue to evolve? 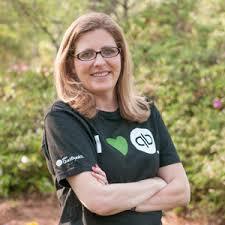 Carrie: In 2008, I learned about QuickBooks Enterprise when I helped my parents transition their business onto it. As I started adding more large clients, I decided to become a reseller of QuickBooks products including Enterprise and Point of Sale. Eventually, I created product cheat sheets for my clients. I have an extensive library of resources which I share with the ProAdvisors in my partner network so they don’t have to start from scratch. Sheila: What led you to create a partner program? Carrie: As QuickBooks evolved and expanded its offerings – Enterprise, Point of Sale, QuickBooks Online – it became obvious that in order for us to be successful we needed more hands-on help. Instead of hiring more employees, I decided to start a partner program. This extended network of ProAdvisors helps us service and support these new clients. Sheila: That’s innovative. Tell me more. Carrie: It’s called the Complete Business Partner Program. Its purpose is to bring together ProAdvisors from across the country to support each other and our clients. The program’s two components are QuickBooks sales and community support. With sales, we process and provide reporting on all the QuickBooks orders, as well as provide documentation to help our ProAdvisors select the right products for their clients. Additionally, for every sale a ProAdvisor makes, we will share our profits 50/50. While product selection is important, the special sauce of my partner program is the community aspect. Many ProAdvisors are in one- or two-person firms, and it can feel very lonely. A common problem is some partners have too many leads while others are looking for work. With our program, our partners can work together to balance out their work loads. Additionally, when issues come up, ProAdvisors can reach out to each other on our Facebook group and ask for help. We are better together when we solve problems as a group. Sheila: How would a ProAdvisor learn more about your partner program? Carrie: Go to our About Us page to learn more and apply. The program is free. Applicants just need to fill out some paperwork, agree to our terms, and then I can set them up for payment of commissions. Once that’s complete, I drop them into our exclusive Facebook group. There are about 230 ProAdvisors in the group providing answers, referrals, and support. This does not replace the QuickBooks ProAdvisor program. It’s supplemental and focuses on networking. In fact, I encourage everyone to join and take advantage of all the educational programs available. Sheila: How did you get started with the ProAdvisor program? Carrie: I learned about the ProAdvisor program in 2002 when I returned to the workforce after taking some time off to raise my children. I immediately signed up and got certified. I have continued to get certified and advance certified in every product ever since. Sheila: What are the benefits of getting certified? Carrie: Every time I become certified, I learn something about the product that I didn’t know before. Best of all, I started getting a lot of leads through Find-a-ProAdvisor! For ProAdvisors who have only certified once, they’re really missing out because the leads we get are awesome. Sheila: I imagine you had a great profile to generate so many leads. How did you do it? Carrie: I put myself in my customer’s shoes. Out of all the ProAdvisors, why would they pick me? I searched my ProAdvisor profile and I compared it to my competition. I found successful profiles have 1) a recent, professional headshot, 2) complete contact information including email, phone, website, 3) a clearly defined niche, 4) and are certified in all the products. Certification is very important, because it floats your profile to the top. I also check my profile regularly to make sure it’s up-to-date and still at the top. Sheila: How did you find your niche? What advice can you give fellow ProAdvisors? Carrie: Do what you love. That’s how I found my niche. Reflect on what projects you enjoyed most. Make that your focus, learn all the tools, and become the best at it. Then you become the go-to person for that subject matter. Sheila: Have you used ProAdvisor support? Carrie: That’s my number one go-to for support, because they’re the best. If you are a Diamond level ProAdvisor, you get the best of the best. When I have challenges and call support, together we can solve it. They make us look really good to our clients. Sheila: Why should an accountant or bookkeeper, who is not a QuickBooks ProAdvisor, join the program? Carrie: The ProAdvisor program is the number one reason why I’m in business. Find-a-ProAdvisor is the best way to generate leads. QuickBooks certification is loaded with educational material to get you up to speed on all products. The support team are rock stars. I highly recommend it.